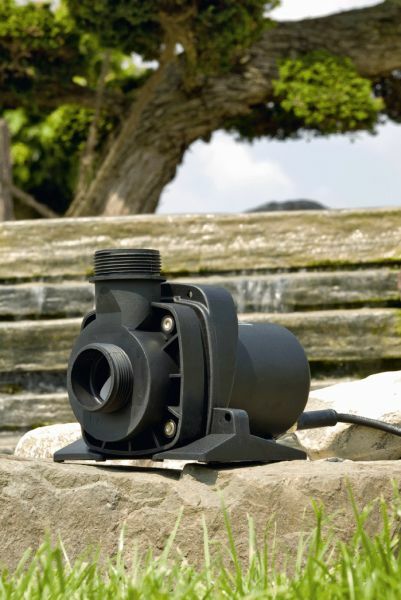 The OASE Aquamax Dry 14000 Pump is specifically designed for dry mounting outside of the pond (flooded suction), making these an ideal choice for Koi Ponds and also for swim ponds where no mains power is desired in the pond area itself. These robust solids-handling pumps are well suited for passing debris to a pond filter system or passing water to a stream or waterfall. 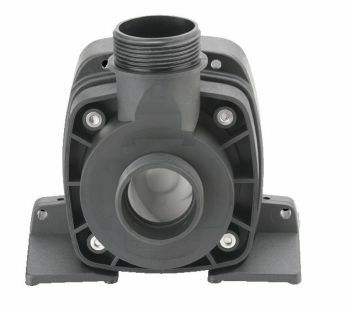 Flow rates up to 225 Litres/Minute. 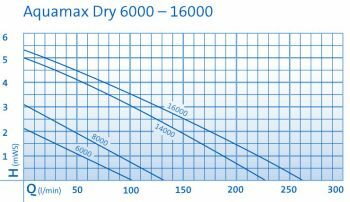 Maximum Vertical Lift of 5 metres. All Aquamax Dry pumps should be mounted in a flooded suction configuration (in that the pump can be mounted on dry land but must be positioned below the pond water line, to constantly flood the pump inlet with water via gravity). For trouble free operation we recommend connection to a Satellite Strainer or Aquaskim 40 Skimmer to control the debris particle size leading into the inlet of the pump. 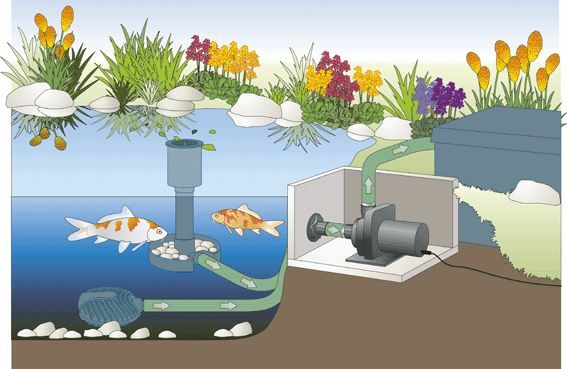 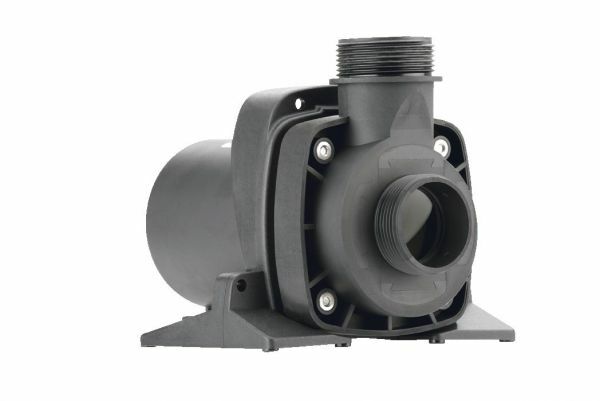 The Aquamax Dry 14000 or 16000 inlets can be connected to 2 points of suction, via an optional Y Distributor, to a Satellite Strainer or Aquaskim 40 Pond Surface Skimmer if desired. Aquamax Dry 14000 or 16000 concurrently connected to a Satellite Strainer and Aquaskim 40 Pond Skimmer. 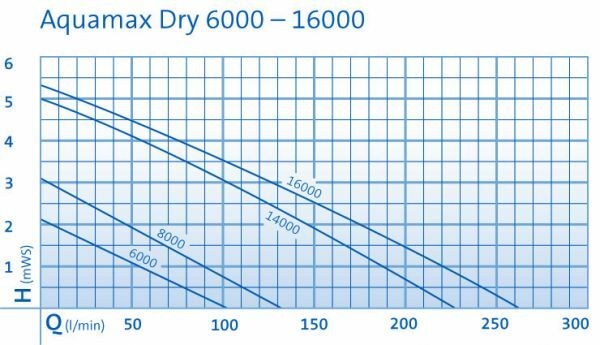 Pump Performance Curves for the OASE Aquamax Dry pump range (6000 - 16000 Litres/Hour).